Jason has a broad litigation practice with a focus on personal injury, employment law, local government law, civil rights and police misconduct. Jason has a long track record of successfully representing employees with a variety of claims including wrongful termination, sexual harassment, discrimination, and intentional interference with an employment relationship. Jason has represented clients with discrimination-based claims before the New Hampshire Commission for Human Rights and the federal Equal Employment Opportunity Commission. Jason has also negotiated employment contracts, severance agreements, and ADA accommodation agreements between employers and employees. He has also represented elected officials in matters including election law, Town Meeting law, and recovery of vested benefits. Jason also represents clients who have been injured in automobile accidents and slip-and-falls. He has also represented many clients in cases involving claims of police or government misconduct, including excessive force, false arrest, and malicious prosecution. Jason has recently successfully represented clients in an environmental tort case, and has represented small businesses in a variety of litigation matters. Jason has also represented clients in homeowners' insurance coverage disputes, including the denial of fire loss claims. 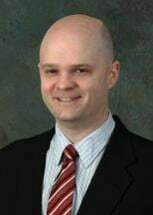 He also has significant experience with consumer class action litigation, having participated in a series of class actions that successfully returned millions of dollars in insurance premiums owed to New Hampshire automobile purchasers. Jason has also represented clients in matters involving firearms law, and drafts NFA firearms trusts for firearms collectors.